West Bengal Chief Minister Mamata Banerjee tonight condemned the devastating bomb and gun attack today that killed more than 200 people at a mosque in Egypt. 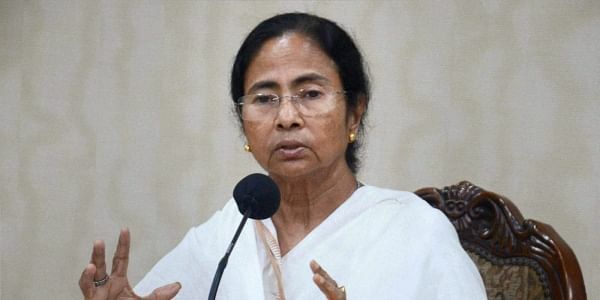 KOLKATA: West Bengal Chief Minister Mamata Banerjee tonight condemned the devastating bomb and gun attack today that killed more than 200 people at a mosque in Egypt. "Saddened with the dastardly terrorist attack in #Sinai #EgyptAttack. Strongly condemn such violence that takes innocent lives," Banerjee said on her official twitter handle. At least 200 worshippers were killef and 130 others were njured when heavily-armed militants struck a mosque during Friday prayers in Egypt's restive North Sinai region, in the deadliest terror attack in that country. The militants launched a targeted bomb and gun attack on the al-Rowda mosque in Al-Arish city during the Friday prayers.